Christ with All Saints Church | All Saints Road/Manchester Road, Heaton Norris, Stockport. All Saints Road/Manchester Road, Heaton Norris, Stockport. Welcome to All Saints’ Church. We are a church which believe every person is beautifully created in God’s image and we therefore welcome everybody: not regardless of, but because of; your gender, your mental health condition, your physical ability/disability, your race or whether you are gay, straight, bisexual or trans-gendered. We believe because God creates us all wonderfully uniquely, we all have important gifts to bring. We also welcome you if you simply got lost on Lancashire Hill roundabout trying to find the way into town and needed the loo! We hope you will be able to find what you are looking for on these pages. Christ with All Saints’ is an exciting place to be, with something for everybody; from various services to suit all people, the choir for those who enjoy singing, artistic groups like the Embroidery Group and Flower Arrangers, the many groups aimed at young people, groups for people who are alone and the thriving social life connected with the church. Please do take time to look through the drop down menu. Whatever it is you are looking for we hope you will find it at CwAS. If you can’t, let us know and we will see what we can offer! HOLY WEEK: Monday: 9:30am Morning Prayer, 8:00pm Compline. Tuesday: 9:30am Morning Prayer, 8:00pm Compline Wednesday: 9:30am Morning Prayer, 8:00pm Compline. Maundy Thursday: 9:30am Morning Prayer, 7:30pm Holy Communion at St. Thomas’ Heaton Chapel followed by vigil. Good Friday: 9:30am Morning Prayer, 2:00pm Stations of the Cross, 8:00pm Compline. Holy Saturday: 9:30am Morning Prayer, 8:00pm Compline. Easter Sunday: 10:00am Matins, 11:30am Sung Eucharist with Baptism, 4:30pm Evensong. All Welcome. SUNDAY CLUB FOR CHILDREN: First and last Sunday of the month, 11:00am – 12:30pm. Craft, art, stories, singing and a snack! All children and young people welcome; it’s free and fun! As with all our groups, we welcome and embrace those with special needs; however serious. ALL ARE WELCOMED BY GOD, and by All Saints’. ALL SAINTS’ BRASS BAND: We are looking for new members; if you play a brass instrument at any level, and are interested, email Josh jhmgaskell@gmail.com or call 07523 179434 We rehearse on Monday evenings at 7:30pm and play at a church service once a month and also Christmas events. Occasional other events. FOODBANK: There are two boxes in church for your donations to the local foodbank. Please give generously to help those in our community who are struggling at this time. “For I was hungry and you gave me food, I was thirsty and you gave me something to drink” S. Matthew. THE COLLECT (today’s special prayer): Almighty and everlasting God, who in your tender love towards the human race sent your Son our Saviour Jesus Christ to take upon him our flesh and to suffer death upon the cross: grant that we may follow the example of his patience and humility, and also be made partakers of his resurrection; through Jesus Christ your Son our Lord, who is alive and reigns with you, in the unity of the Holy Spirit, one God, now and for ever. Amen. PRAYER INTENTIONS THIS WEEK: PRAYER INTENTIONS THIS WEEK: Monday: Children and young people; All Saints’ and Whitehill Primary Schools; teachers and learners; CwAS youth groups; CwAS uniformed organisations (Beavers, Cubs, Scouts, Brownies and Guides); Belmont and Lancashire Hill Children’s Centre. Also St Hilda, Audenshaw Tuesday: Our parish and community; the elderly and those who live alone; local housing associations. Also Audenshaw and Denton Mission Partnership comprising: St Stephen, Audenshaw; Christ Church, Denton with St George, Dane Bank; St Lawrence, Denton; St Anne, Haughton: Wednesday: Heaton Norris Health Centre; doctors, nurses, carers and social workers; Stepping Hill Hospital; Fire Service; the sick; the disabled; the terminally ill. Also St Andrew & St Martin Droylsden Mission Partnership: Thursday: Local businesses in Heaton Norris; Police and magistrates; Councillors and our MP; the unemployed. Also St Mary, Droylsden: Friday: World peace; the armed forces; all charities. Also St Mary the Virgin, Haughton Green: Saturday: Church choir and all musicians; CwAS Music School; All Saints’ Brass Band; sports people; all who travel. 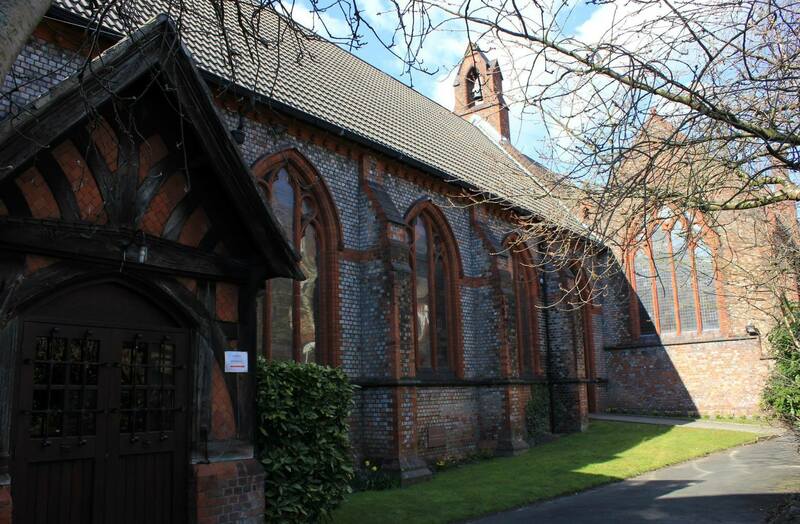 Also St John the Evangelist, Sunday: Mission and outreach from CwAS. Also, pray for the peace of Jerusalem and the people of the Holy Land. PLEASE REMEMBER THESE PEOPLE IN YOUR PRAYERS FOR THE SICK THROUGHOUT THE WEEK: Elizabeth Hall, Eunice Wilshaw, Lee, Christopher, Neave Pollitt, Margaret Hoyle, Evelyn, Dorothy, Linda, William, Eileen and Tom Reedy, Gerald, Pauline Murdock, Tim Johnstone, Jane Schofield, Pauline Lester, Brenda Graham, Steve Dutton, Darren Neild, Frank Boland, Elizabeth Hall, Shiela Haldane and Stefan. OF YOUR CHARITY please pray for the souls of all who have died this week, and those whose years mind falls at this time. Rest eternal grant unto them O Lord, and let light perpetual shine upon them. Copyright © 2019 Christ with All Saints Church.